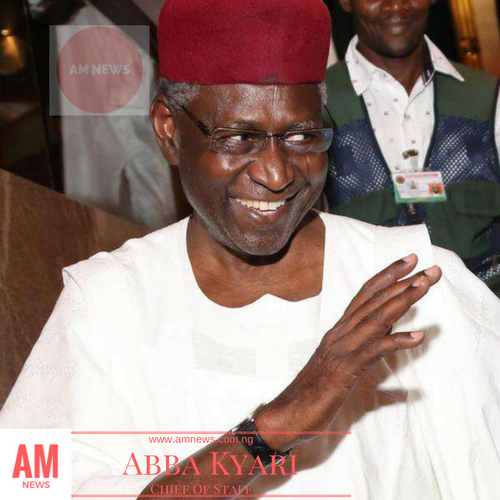 Abba Kyari who is Chief of Staff to President Muhammadu Buhari, was flown to the UK last Wednesday via a British Airways flight, Presidency sources have confirmed to Pulse. According to these sources, Kyari is diabetic and has been battling to fend off the ailment for a while now. “He’s responding to treatment in a UK hospital and there’s nothing to worry about. He’ll be back to work sooner”, one source offered. Kyari was visiting Mamman Daura–leader of the cabal in the Presidency–a couple of weeks ago, when a former Minister, Bagudu Hirse, was kidnapped right in front of Daura’s residence. Kyari reportedly belongs to the cabal within the Presidency, alongside Secretary to the Government of the Federation, Babachir Lawal. Together, the cabal decides who gets what within the Presidential palaces. Babagana Kingibe, a former Secretary to the Government of the Federation, was also among the party when Hirse was abducted. Kyari was visibly shaken by the kidnap incident, a source said. According to a similar story in Premium Times, Kyari “was shocked after all the security details ran away, leaving them to their fate. “He drove away all the security men except the one who refused to run away and they drove back to Abuja in a very tight security”. There’s been no word from official Presidency channels on Kyari’s state of health. Attempts to get Presidential spokesperson, Garba Shehu, to provide a comment for this story, proved abortive. He wasn’t picking his calls.